TORONTO, April 9, 2019 – Woodbine Entertainment announced today that Canadian country music duo High Valley will headline this year’s music line-up at the two-day Queen’s Plate Racing Festival with a live performance on the Hats & Horseshoes stage at Woodbine Racetrack on Saturday, June 29. 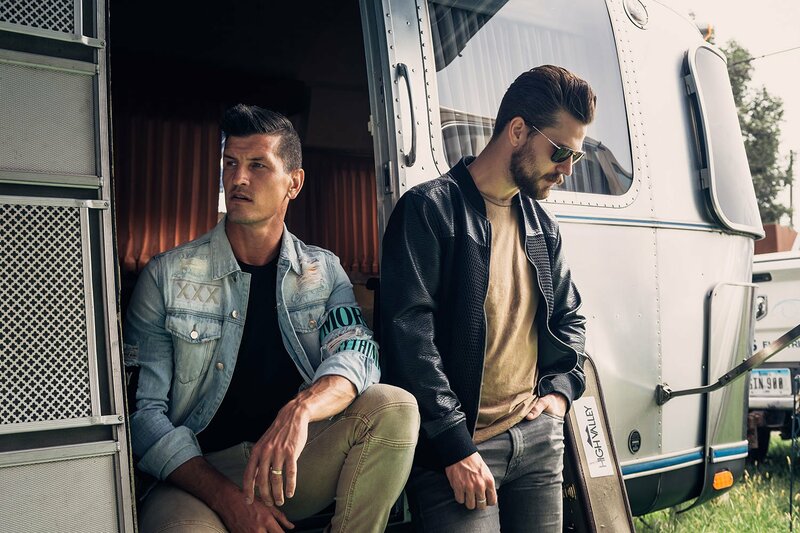 High Valley, who just released their highly anticipated new single, “Single Man,” last week, will perform live on the second day of the festival at 8:30 p.m., following the 160th running of the $1 million Queen’s Plate. Growing up in La Crete, Alberta shaped High Valley brothers Brad and Curtis Rempel’s musical ideals and love of simple, classic country music that is featured on their recently released Warner/Atlantic Records debut album Dear Life. High Valley has scored six Top 5 singles, including a #1 with “I Be U Be,” achieved three Gold and two Platinum certifications, and played to thousands as tour support for Shania Twain, Tim McGraw & Faith Hill, and Old Dominion. Among their multiple award show wins, High Valley has been named Canadian CMA Duo of the Year twice. High Valley has amassed more than 200 million song streams worldwide, including more than 30 million for their first single “Make You Mine.” The duo has been selected for “Ones to Watch” recognition by Rolling Stone Country, Spotify, Pandora, CMT and Taste of Country. Country singer-songwriter Madeline Merlo will open for High Valley, beginning at 7 p.m. on the Hats & Horseshoes stage. The Maple Ridge, B.C. native is a CCMA Award and two-time BCCMA Award-winning artist, with five Top 15 singles under her belt. The Queen’s Plate Racing Festival’s Saturday entertainment line-up includes a noon performance on the Hats & Horseshoes stage by Canadian country singer Natasha Zimbaro, who will also continue the tradition of performing the anthem, “The Maple Leaf Forever,” from the winner’s circle leading up to the Queen’s Plate. Zimbaro is excited to be back at Woodbine after performing at last year’s Queen’s Plate and Pepsi North America Cup at Woodbine Mohawk Park. More recently, she blew away horse racing fans with her rendition of “O Canada” at the O’Brien Awards last month. Her debut self-titled album is available everywhere digitally and she is currently in the recording studio, working on a follow-up. A recent highlight of the singer was performing on the 2018 Boots & Hearts Main Stage this past summer – and you can catch her performing at upcoming TFC and Toronto Raptors games. Jazz vocalist Kristen Violet May, who is currently recording her debut six-song EP with three-time GRAMMY Award-nominated producer Rob Kleiner, will sing the National Anthem at this year’s Queen’s Plate. The high energy Canadian rock n’ roll quartet The Dreamboats will also provide live entertainment during the afternoon performing their favourite jukebox classics, mixed with their award-winning music inspired by the 50s and 60s sound that they adore. The two-day Queen’s Plate Racing Festival begins on Friday, June 28 with live Thoroughbred racing and a concert featuring JUNO Award winner The Washboard Union and rising country star Jade Eagleson. Tickets to Canada’s premier racing festival can be purchased at Ticketmaster.ca. Visit QueensPlate.com and follow @WoodbineTB on Twitter for the latest updates on #QP19. This entry was posted in Woodbine News and tagged 2019 Queen's Plate, High Valley, Horse Racing, Kristen Violet May, Madeline Merlo, Natasha ZImbaro, Queen's Plate Festival, Summer Concerts, The Dreamboats, The Queen's Plate, Tickets, Toronto Events, Woodbine. Bookmark the permalink.